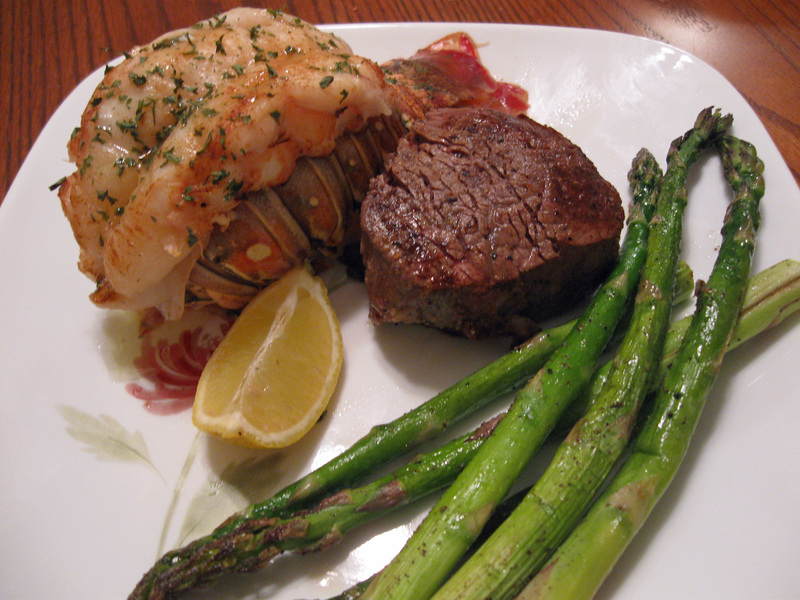 Filet Mignon with Lobster Tail and Asparagus | Albert Moyer, Jr. I often avoid eating out, because I can cook so much better, and spend so much less. This meal typically can cost $55 plus per person. One can easily make it at home with a little practice for $12.